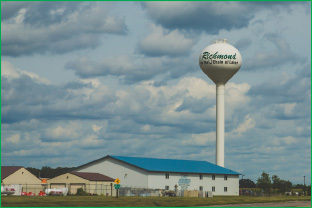 Richmond, Minnesota, is a beautiful city located at the heart of the Horseshoe Chain of Lakes, just 25 minutes west of St. Cloud. Home to River Lake Days and a center for water recreation, Richmond draws tourists from all over the Midwest to take advantage of the many amenities found there. Understandably, Minnesota prizes its lakes and stands by some of the strictest phosphorus limits in the nation. Phosphorous is a growing problem in wastewater due to increased use of household products that contain it. Chad began his career with PeopleService in Richmond nearly seven years ago, but his roots in the community go back further. A student of water/wastewater at St. Cloud Community College, Chad went on to get his licensure. A self-described “jack-of-all-trades,” Chad has what it takes to succeed in this industry. “As an operator, I’m a mechanic, an electrician, a biologist, chemist and so many other things depending on the day,” he added.